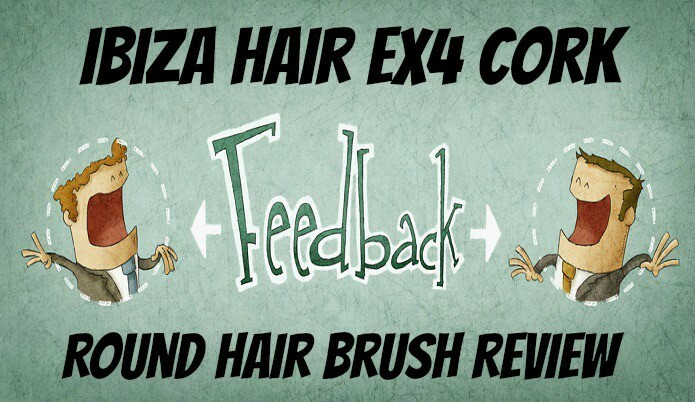 I am bringing you my review on the EX4 cork round brush made by Ibiza Hair in this article. Along with giving you my personal thoughts on this brush I’ll also be answering some general questions that you might have along with just stating general facts about this brush. Have to start with my favorite thing which is the handle.I honestly never would have thought to make a handle from cork screw material but the handle feels amazing. I’ve used a lot of brushes that has boar bristles in them but this brush is unique because it has a mixture of the boar bristle and the carbon fiber nylon which actually made a bigger difference than I thought it would. Overall I like this better than pure boar bristle just for the way it feels when brushing my hair. The look it leaves is still pretty similar in my opinion to many of the boar bristle style brushes I’ve used. I don’t have any preference on round or flat head brushes at this moment, I will be testing this out more in the future to get a better idea on which I think works better. They do have some buy in store based areas but these are very far and few between one another.They do have them on amazon which is where I got mine from. What type of hair is this brush made for? 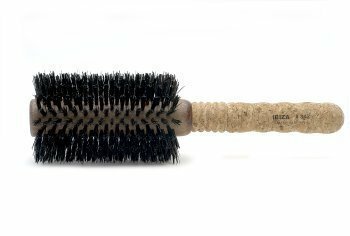 I have long thick hair and it works great for me but to be more specific this brush is aimed towards those with medium to long hair according to their Ibizas information about this product. The cork screw handle was the thing that actually caught my eye and the materials used for the brush part was just icing on the cake. I give this brush a big thumbs up. Also as a side note if you think this brush might be too big for you, they make smaller versions of the exact same brush which going from smallest is the EX1, EX2 and EX3. There is also one bigger size which is the EX5. Other than that this will wrap it up. If any of you have used this brush I’d enjoy reading your opinions about it, especially with those who have a different type of hair from mine just to get an idea of how it works across the board.